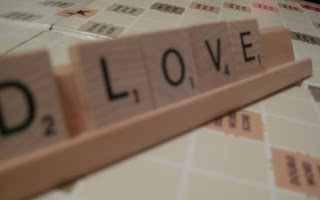 For many years my friends and I played scrabble with a ninety-year-old woman named Myldred. I was sitting at a church friend's house and saw her walking to her mailbox one day and suggested to my friends that we visit her sometime. Some guys from church ended up raking her leaves and I went in to talk and have lunch with her. I left three hours later knowing that I had been blessed to meet this special woman. From that day on, there was a special place in my heart for Ms. Shinlever. My friend Taylor and I were looking for a new Wednesday night ministry, and after one evening of dinner and fellowship with Ms. Shinlever, we felt we had found somewhere we could make a difference. Since Ms. Shinlever could not leave her home, Taylor and I began making dinner for her every Wednesday and soon began spending our evening around the Scrabble board. We invented words (our best yet is Taylor's attempt to spell LEGLER) and try to keep Ms. Shinlever from cheating (we usually end up being the ones who are wrong when Ms. Shinlever insisted it was a word). It was a time to get away from all our other worries and troubles and focus on someone else. Myldred went on to be with the Lord over a year ago; I miss her - but I've never forgotten the impact she made on my life. The assisted living staff and her family often told us that we did not understand what we had done for her, but they were mistaken—they did not understand what she had done for us. If I could to choose to be like anyone - it would by Myldred. She was kind-hearted and fun - she often made us laugh. Most of all, she had this love for people that was contagious - you couldn't help but enjoy her company. I never knew that a simple lunch with an elderly woman would result in what it did! I believe God places the people in your life for a reason. It's not a mistake. Remember to love those those around you. Even take some time out to show someone a random act of kindness - you never know what could come of it. If you haven't visited Sally's Baking Addiction - you should! That's where I found this fabulous recipe! The original recipe calls for blueberries, but I exchanged them for blackberries since I have a plentiful supply of them in my freezer. These turned out AMAZING! 1. In a large bowl, combine the dry ingredients (flour, baking soda, salt, cinnamon). 2. In another bowl, mix together the honey and brown sugar. Use a fork to break up the lumps. Add in the mashed bananas, yogurt, and beaten egg. It'll be really thick! 3. Gently mix the wet ingredients into the dry ingredients. Add the almond milk 1/4 cup at a time. Do not overmix the batter. Fold in the blackberries. 4. Spray 15 muffin tins with nonstick cooking spray. Bake the first 12 muffins at 325 degrees for 18-2o minutes (poke the center with a toothpick and see if it comes out clean). Bake the last 3 muffins - make sure you add a little water to the empty muffin tins. 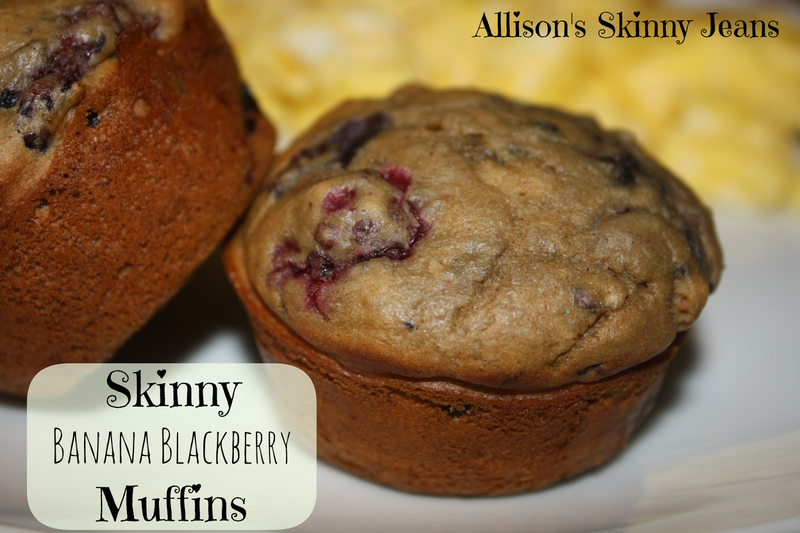 Each muffin is 131 calories! I added a little of my homemade crockpot blackberry jam! (I know, not skinny - but used in moderation.) I'll give you the recipe for it soon! I just made muffins with yogurt (blueberry). 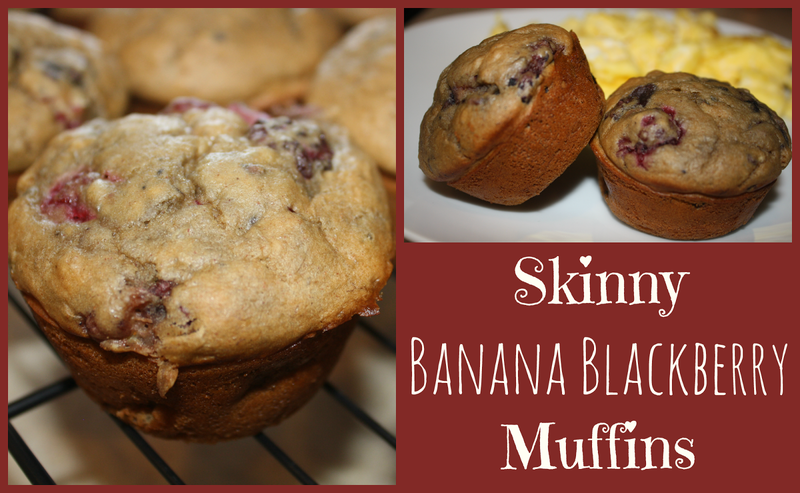 It was my first time using yogurt in muffins, and let me tell you AMAZING! This recipe looks fabulous, I am going to try to adapt it to be egg-free (allergy), hope it turns out as awesome as yours looks. *Ms. Shinlever reminds me of my 94 year old Great Grandma. (We had to keep an eye her, she tried to cheat every now and then.) This was an encouraging post! I love using yogurt! It's amazing how many recipes you can actually use greek yogurt in. Let me know how it is egg-free!